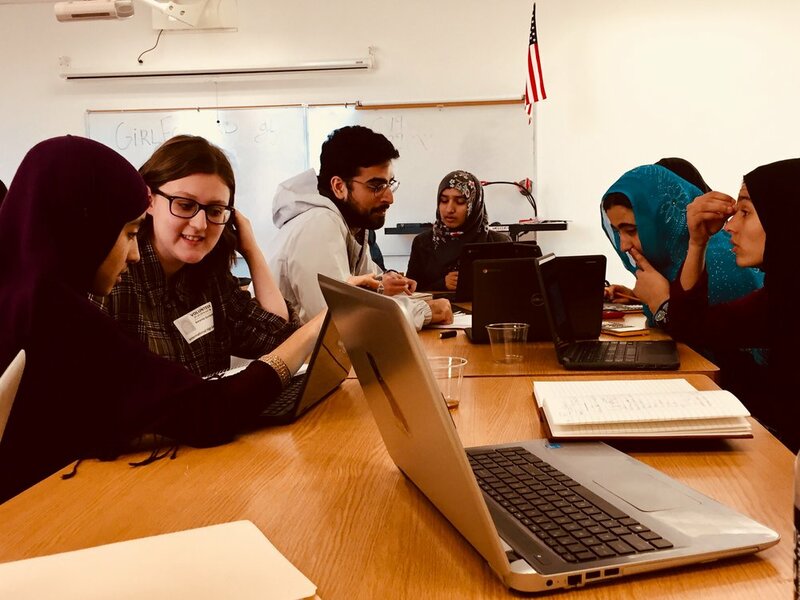 GirlForward is seeking dedicated and enthusiastic volunteers for our Mentoring Program, which matches women mentors with girls resettled through the refugee resettlement program. As a mentor, you will be paired with a mentee in grades 9-12 or a recent graduate and will meet with her for at least two hours per week to talk about school, relationships, and careers, and to do fun and engaging activities together. As a mentor, you will make a one-year commitment to GirlForward and will receive trainings to prepare you for this role. Visit our ways to give page for ideas on how to support our mission, advocate for refugees and immigrants, or contact us to connect and share what you’re interested in doing. We would love to find a way for you to be part of our movement.